Perfect for your patriotic child. A handmade red, white and blue bracelet that is both stylish and sparkly. 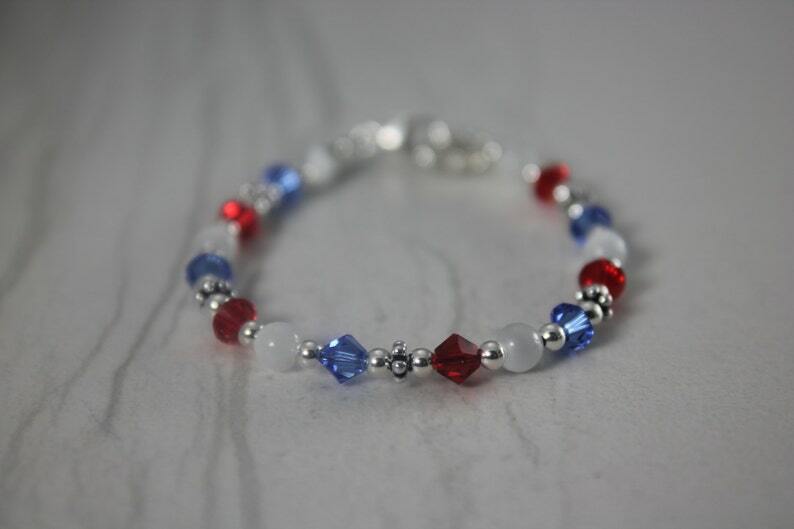 This unique patriotic bracelet can be made in any size and comes with a sterling silver clasp and a l" extender. See our listing for the matching adult size version!